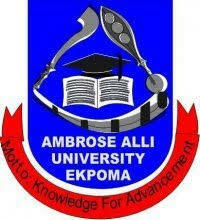 This is to inform candidates who applied for admission into Ambrose Alli University, and was not admitted in the first batch that management of Ambrose Alli University (AAU) has released the 2nd Batch UTME and Direct Entry Admission List for 2017/2018 academic session. Candidates are to visit the school portal to check their admission status. -Click on "Submit" and proceed to view your admission status.